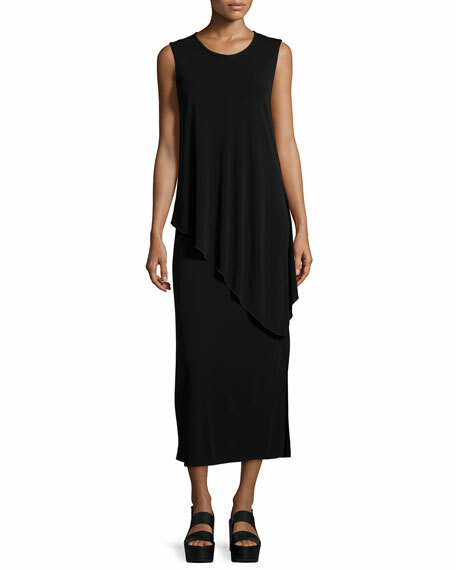 Joseph jersey-knit maxi dress with layered illusion. The Joseph clothing line traces its beginnings to a hair salon on London's Kings Road. Born in Casablanca, Morocco, the aspiring hairdresser, Joseph Ettedgui, set up shop with his brothers in 1960, but his interest in fashion would lead him to broader horizons. In 1972, Ettedgui began displaying Kenzo sweaters in the salon's windows, to great success, and soon expanded into a fashion boutique downstairs. Committed to introducing England to the best, most cutting-edge new designers, Joseph discovered and nurtured such talents as Helmut Lang, Azzedine Alaïa, and Martin Margiela; Ettedgui's shop was the first in London to sell Prada. Continuing his influence, Joseph launched his own, branded line in the early 1980s. The Joseph Tricot and Joseph Denim Collections earned the designer accolades, and rapid expansion followed. His legacy lives on in the Joseph advanced contemporary collection of luxury essentials. 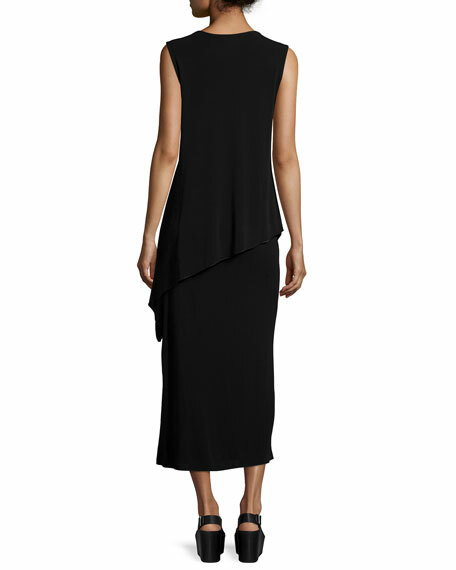 The Joseph line is known energetic yet sleek, European minimalism. Tops, sweaters, dresses, jackets, and pants are presented in cashmere, silk, and innovative technical fabrics. For in-store inquiries, use sku #1666062.